Fancy a more relaxing and enjoyable bathing experience? That’s exactly what the Charli Hand Shower Rail / Set offers. This versatile shower set can be used in many different configurations. Furthermore, it is practical, sleek and surprisingly, very affordable! 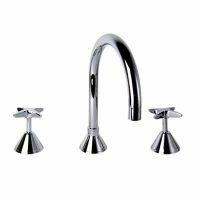 The Charli Hand Shower Rail / Set consists of a hand shower unit and a rail set. The shower unit can be used as a standalone hand shower or as a fixed shower attached to the rail set. Even with all its configurations, it has been designed for straightforward installation in standard Australian bathrooms. The Charli Hand Shower Rail / Set features an ergonomic design with a stylish chrome finish. 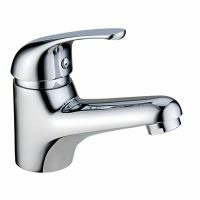 Because of its ergonomics, the solid lever handles are very easy to use. The Charli Hand Shower Rail / Set makes use of superior materials in construction. It is highly durable and built to last. 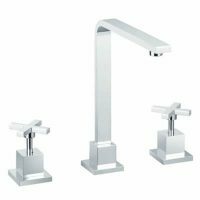 All parts, including the shower unit, levers, internals and rail set, feature solid brass construction. Trust that this product offers outstanding quality – and value – for money. So, whether you’re considering a bathroom renovation or a new installation, add the Charli Hand Shower Rail / Set to your tapware list – you won’t be disappointed.